As we get older, our vision changes. After the age of 40, it’s perfectly normal to lose focusing ability due to the hardening of the lens inside the eye. Beyond 50, you may notice the need for more frequent changes in prescriptions for glasses. 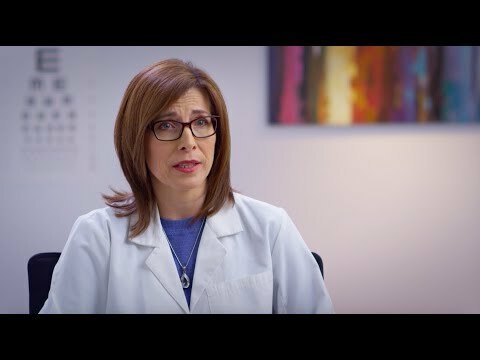 This is why its important to go for regular eye exams. But there are other solutions. California-based EyeQue has just announced VisionCheck. Touted as the world’s first automatic eye test, it’s on Indiegogo right now raising funds to go into production. This is the third offering from EyeQue. A couple of years ago the company launched Personal Vision Tracker, a low-cost home-based solution that tests spherical, cylindrical and axis figures, the same values your eye doctor uses to generate a prescription. It followed this up earlier this year with Insight, a fast and easy home administered 20/20 vision test. The latest offering goes a step further. VisionCheck is a refractometer that measures your refractive error (your nearsightedness, farsightedness and astigmatism). The tests show results in the same format as your prescription, allowing you to order glasses online. The results also include your estimated near-vision add (NV ADD+) needed to purchase reading or progressive glasses, along with pupillary distance (PD). Just like its predecessors, VisionCheck attaches to your smartphone to do its thing. Each test takes about 5 minutes. Because your vision fluctuates throughout the day, it is recommended you take at least three readings at different times in the day. This should take no longer that 30 minutes in total, plus you get refraction results immediately. While not a replacement for annual eye doctor checkups, EyeQue allows you to monitor changes in your vision with personalized reports from the comfort of your home. CES honored the company with not one, but two CES Innovations Awards, in 2017 and 2019. The product is supported through annual memberships, currently starting at $4.99 per year.